We'll be taking a short blogging and social media break for the rest of August. If you are trying to get in touch with us, please be patient. A passion for Pink Lining...A dream come true! You may remember earlier in the summer that we wrote a blogpost and made a couple of videos to share our passion for a certain brand...a brand that we adore, a brand that's been part of our lives for several years and just as the tagline on their website says...'designed for our family and yours', they seem to pre-empt and meet our needs as a family for carrying baby and toddler items with us wherever we go. It is of course the utterly wonderful Pink Lining brand! 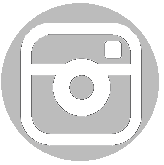 We will get to review some of the most fabulous products (including an item from the newly launched Autumn/Winter 2015 range. They also have some cute new designs for the Pink Lining Child range too!) and share with you exciting Pink Lining news throughout the year. 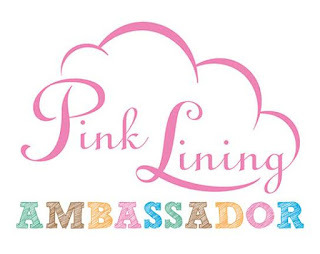 We are not alone in our passion for Pink Lining so you can meet all the other Pink Lining Ambassadors here. This week was biscuit week on bake off and I loved the look of all those biscotti. I'd love to have a go at cooking biscotti one day. For my biscuit week bake I wanted to look back to my roots, my heritage, and make an Iranian biscuit. I remember these rice shortbreads from my childhood. Having an Iranian mother meant that we were fortunate enough to taste many interesting foods that my peers did not. One such food was naan berenji (rice flour shortbread). I don't recall my mum ever actually baking these but I do remember eating them at her friends houses or friends returning from visits to Iran bringing some back for her. The recipe for these is pretty straightforward, but the chilling time for the dough could well be a world record for the longest chilled biscuit dough. Depending on which recipe you find, it varies from a minimum of 6 hours, 8 hours, overnight or up to a whopping 24hours! 1. Cream together the butter and sugar and then add the eggs, beating well after each egg is added. 2. Add the rice flour and cardamom and beat until a stiff dough is formed. 3. Wrap in cling film and chill for a very long time! I did 6 hours but you can leave for up to 24 hours. 4. Once your dough is chilled thoroughly for all those hours, preheat the oven to 190C. 5. Line a baking sheet with baking paper. 6. The dough is a very strange consistency and so instead of trying to divide it into pieces or roll it to cut it, the way to handle it is to use a spoon to cut off small pieces. Then shape these pieces into balls and slightly flatten them as you place them onto the baking sheet. They are quite small biscuits so each biscuit will probably be only about 3cm wide. 7. To get the perfect traditional look for these biscuits, you are supposed to press a thimble onto the centre, then sprinkle a few poppy seeds onto the thimble marks. I found a fork print or using a knife to score a little star pattern works just as well. You can leave out the poppy seeds altogether if you wish as I did with some of mine. 8. Bake for around 12 minutes. They are supposed to be characteristically pale in colour. They should not brown. My first batch came out perfectly, but I wish I had placed the second tray in for a shorter amount of time as those ones did brown a little. The amount of cardamom and rosewater can be varied according to taste. I personally love cardamom so used a whole teaspoon of ground cardamom seeds in it. Too much rosewater can end up reminding us of those overpowering rose flavoured soaps so you need just enough rosewater to give it a lovely hint without it being overpowering. For me just 1 tablespoon was fine. I'm really glad I made these as it is one of those things I've always wanted to bake and (apart from the long chill time) they were actually far more straight forward than I imagined them to be. Once again we are linking up with Silver Mushroom's Bake With Bake Off and the Great Bloggers Bake Off at Mummy Mishaps. I can't say I like cleaning. In fact, I really don't enjoy cleaning so I try to make the process as quick and pain-free as possible. That's where having great products that make the job easier really helps. We've long been fans of the e-cloth range of products. Since discovering them a few years ago, we've found that it makes chemical-free cleaning a whole lot easier and a lot cheaper than relying on disposable cloths and expensive cleaning detergents. The first product we used was the original 'general purpose e-cloth'. I remember being totally wowed by its effectiveness. 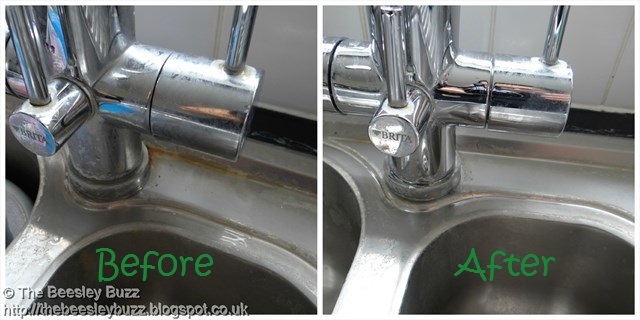 I regularly show the kids the before and after places that I clean with it. Soon after, we invested in a 'Glass and polishing e-cloth' which has proved fantastic on mirrors. Then as our tea towels needed replacing, you guessed it, we replaced them with e-towels. And the list goes on...we have an e-cloth product for cleaning stainless steel, we use e-cloths luxury hand towels to dry our hands and more. So we really didn't need convincing of just how great e-cloth products are. They were one of the first products that we came across that were better than their traditional counterparts in terms of effectiveness whilst being better for the environment too. The Kitchen Whizz is one of the newest products from e-cloth and when we were asked to give it a whizz around our kitchen, of course we were going to say yes! With J at pedal karting this afternoon, I had a few moments to myself to tidy the kitchen so thought it would be a great time to give it a very speedy clean with the e-cloth Kitchen Whizz at the same time. It is a green pad with extra long fibres to get to hard-to-reach areas around sinks and taps. It has slightly rubbery feeling 'scrubbing stripes' to help with those stubborn parts that need cleaning. Like the other e-cloths, it can be popped into the washing machine for a wash and re-used again and again. The pad is guaranteed to give at least 3 years use. It's priced at just £2.99 and you don't need to use any cleaning fluids with it. Incredible! 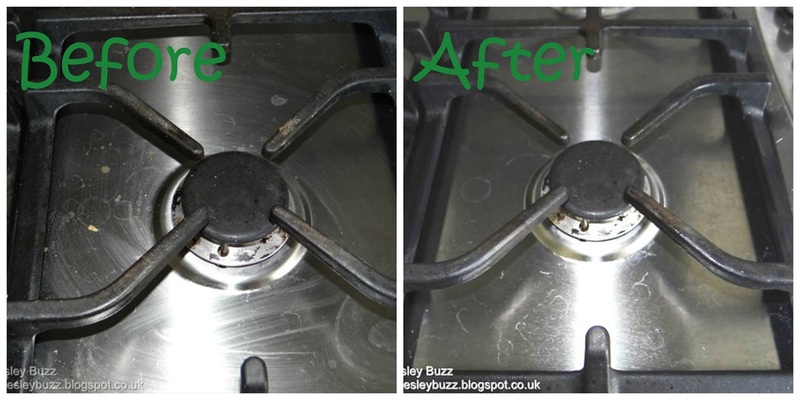 I'm well aware that my kitchen could do with a very deep clean (so don't judge me) but I did want to take some before and after photos of just how quick and easy it was to do a speedy clean with the Kitchen Whizz. I used it mainly on the tap and sink area and then decided to give the hob a quick clean too (even though I do have the stainless steel e-cloth, I was curious to see how the Kitchen Whizz would fare). I think it did pretty well. I'm going to keep it by the sink so I can regularly whizz round the kitchen whenever I get the chance. I was particularly impressed with how shiny it got the tap looking. So Kitchen Whizz, you've passed our test and we welcome you into our home to join all the other e-cloth products we have here that help make cleaning chores that little bit easier. e-cloth - we love you! Disclosure: Although we were sent the e-cloth Kitchen Whizz for the purposes of review, all of the other e-cloth products we've mentioned (and more) we have purchased ourselves in the past and fully recommend all these wonderful products! This unique book by Mark Watson tells the story of Hotel Alpha, a fictional hotel in London, over the decades from its opening through to the unravelling of the intertwined and complex tales of both guests and owners. Told from the viewpoints of Graham - the ever-loyal concierge - and Chas - the son of the owner - we get sucked in to life at the Alpha. For both of them, the hotel is their entire world, but for different reasons. From the ostentatious doors, through the vast lobby, and into the smoking room (later the IT Suite), we see, hear and smell the decadence. We become used to Graham's unwavering sense of duty and his unquestioning loyalty. But there are stories behind the success of the Alpha; stories Howard York (the owner) does not want us to know. Strange things, it seems, happen in this hotel, but over the years the loose ends begin to unravel and cause Graham and Chas to think more carefully about their worlds. This tale imaginatively continues online, with a hundred more short stories told from the perspectives of the guests and others who receive only a brief mention in the book itself. Of course, we can never be sure which version of events is correct, and only the reader can decide what will happen to the guests, the staff and the hotel. 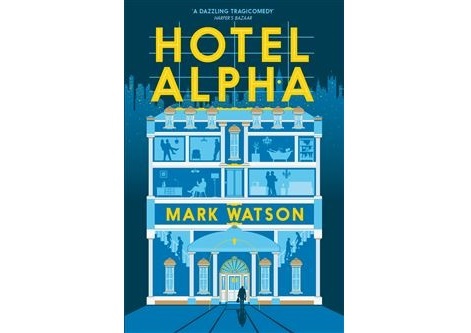 Hotel Alpha, by Mark Watson, is published by PanMacmillan and is available from their website. Our 9 year old son has three big passions in life - cooking, playing guitar and art. One of the ways he unwinds and relaxes is by escaping to his room and drawing pictures and comic strips. Sometimes he'll express how he is feeling through his drawings like when he drew this worried penguin picture when his little sister was about to start preschool. Art also causes him to feel frustration. He is brilliant with his comic style drawings but he desperately wants to get better at drawing real things, real people. When Mumsnet got in touch about reviewing The School of Art, we thought it would be perfect for D in his quest to improve his art. The School of Art is written by The Royal College of Art's Teal Triggs and is illustrated by London based illustrator Daniel Frost. It is a new publication from Wide Eyed Books who "believe that books should encourage curiosity about the world we live in, inspiring readers to set out on their own journey of discovery". The book's subheading is "Learn how to make great art with 40 simple lessons" and although the book didn't turn out to be quite what we expected, it was really brilliant in a different kind of way. We had hoped that these 40 lessons would be specific art focused tasks for the reader to complete which would lead to them getting lots of practice in various drawing and painting techniques. But instead the lessons are a real foundation in the basics of art explaining line, form, shape, colours, and so on. We are led through the book's 40 lessons by five professors, The Professor of Ideas, The Professor of Form, The Professor of Senses, The Professor of Making, and The Professor of the Planet. It is a very holistic book in the sense that through each of these professors we learn about the wider picture; that art is not just painting or drawing but can take many different forms, including fashion, textiles, animation, sculpture and even product design. We learn that there is no right or wrong. We learn that art can be made from ANYTHING, and that art can impact the lives of those around us and even help protect the planet. We found some of the lessons more useful than others and are going to enjoy working through them. Each lesson has a suggested activity which will help reinforce what has been learnt. For me, who has very little knowledge of the art world, I believe it will help me understand and appreciate art a lot more. Overall this book does encourage and inspire and gives a great starting point to adults and children alike who are new to these concepts. I'm going to end by quoting the professor of ideas who says 'there are no boundaries for my imagination, and nor should there be for yours'. Find out what other Mumsnet bloggers thought of The School of Art and other Wide Eyed Books here. You can find out more about Wide Eyed books here and specifically about The School of Art here including a sneak peek at some of the lessons in the book! Disclosure: I am a member of the Mumsnet Bloggers Network and received this book for the purposes of review. I have editorial control and retain full editorial integrity. Title quote by Gordon Gee. Like a predator lurking in the shadows waiting for its moment to pounce. Pain tearing trough my body, my back. Unable to move, unable to think. On anything other than the pain. About tomorrow, about next week. Will plans have to change? My own body has become my prison. Keeping me trapped. In my bed. In my house. You may remember that earlier this summer we got involved in some special Thunderbirds Missions to coincide with the release of the new Thunderbirds DVD. We got to review the Thunderbirds.com website and share our thoughts on the new Thunderbirds DVD. So I know exactly which shop the kids are going to be wanting to go to this weekend! On your Marks, Get Set, Bake Madeira cake! It's that time of year again when Bake Off fever sweeps the nation and people take to their blogs to show off their amazing showstopper creations. For me, the story tends to be different - I often end up with a catalogue of baking disasters that I giggle about. Baking is a relatively new skill for me (and 'skill' is not really the right word to use when it comes to me and baking) but I've found it is a way of escaping and enjoying the satisfaction of throwing together some eggs, flour, sugar and butter and ending up with cake. Whilst we've enjoyed watching Bake Off for several years, it was only last year that I was actually brave enough to have a go at baking along with some of the bakes. We had some baking successes and failures - but most of all we had fun. week 1 - Madeira cake - On your marks, get set, bake! So here we are again, baking along with bake off whenever we get the chance to. Week 1 was of course, Madeira cake; Something I have never baked before. So I stuck to a classic version and didn't try any twists. We used Marie's recipe for Zingy Citrus Madeira cake from the BBC Food 'Recipes from Programmes' section of the website. I tried to stick closely to the cake part of the recipe but ended up winging it for the citrus syrup and candied citrus as I couldn't fathom how to get it crispy. I did try putting them in the oven on low heat after they'd been on the hob in sugar and water but that didn't seem to make too much difference. I also forgot to use baking paper in my tin but that didn't seem to be an issue thankfully. I didn't have oranges but had saved some frozen orange zest in the freezer so used that. I used clementines for the syrup and candying part instead of oranges. I did make some of the citrus juice icing described in the recipe but didn't risk putting it on the cake as I thought it wouldn't look good. I got the mound, the crack, the close texture and the flavour was good. So I'm happy. On my way around the internet trying to find the best recipe to use I enjoyed finding out more about Madeira cake, like why it is called Madeira cake and this piece about drinking Madeira. I keep a bottle of this long lasting fortified wine at home for use in cooking, although I didn't actually drink it with my cake. Silver Mushroom who we have grown fond of recently with their brilliant kitchenware are hosting a 'Bake Along With Bake off' challenge this year and will be chatting along on twitter with the #BWBO hashtag after GBBO each week so we are joining in with that. Find out more here. I won't be able to join in with these challenges every week - due to holidays, other commitments and the unexpected hospital visits which seem to have become the norm with Miss T's JIA - but we are going to be baking along whenever we do manage to get the chance. I really enjoyed having a quiet morning to myself this morning, but no doubt the kids will want to get involved sometimes too. A glittery rhyming treat of a book, you really will love it so take a look! Miss T is just beginning to take an Interest in rhyming words. She loves watching rhyme rocket on cbeebies and often tells us that 'eye' rhymes with 'pie' and 'moon' rhymes with 'spoon' after watching it. She likes to make up little songs and will happily make up 'nonsense' words that rhyme. 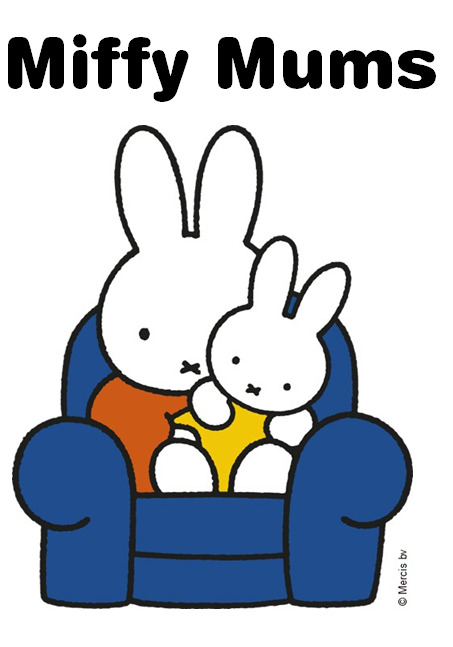 So on our recent trip to Waterstones, it was The Rhyming Rabbit that caught her eye. We saw that it was by Julia Donaldson and Lydia Monks and having previously read 'What the ladybird heard' by this brilliant duo, we guessed that we would most probably enjoy it. As an added bonus, each page features a little glitter somewhere and Miss T enjoyed feeling the pages to help her find the glittery parts. The book cover itself is lovely - Covered in a glittery blue with pretty lettering spelling out the title. As the title gives makes clear, this book is about a rabbit who likes to make up rhymes. Sadly none of his friends or animals he meets seem to share his poetic passion. Then one night when rhyming rabbit is lost for words, someone comes to his aid. This is a fun book that we've all enjoyed reading. I particularly love the page with the maths loathing centipede - it reminds me of me! As most of Julia Donaldson's books are written in rhyme (perhaps all of them as I can't think of any that aren't), it was a brilliant idea to feature a character who also loves to rhyme. Miss T was so inspired by the rhyming words, that as I tucked her into bed, she came up with her own: 'Mummy, poo rhymes with you'. Hmmm. Thanks Miss T! Miss T has enjoyed reviewing books for PanMacmillan in the past, so wanted me to take photos of her reading this book so we decided to do this little write up about it even though no-one has asked us to - it's just because we love kids books so much.